Recycling old phone books allows them to be used in new products. Have you ever wondered what to do with your old phone book when the new one arrives on your doorstep each year? Throwing them into the trash wastes paper resources that can be made into new products. According to the yellowpages.com web site, old phone books can be made into animal bedding, home insulation, bathroom tissue, cereal boxes, roofing shingles, and new phone books. 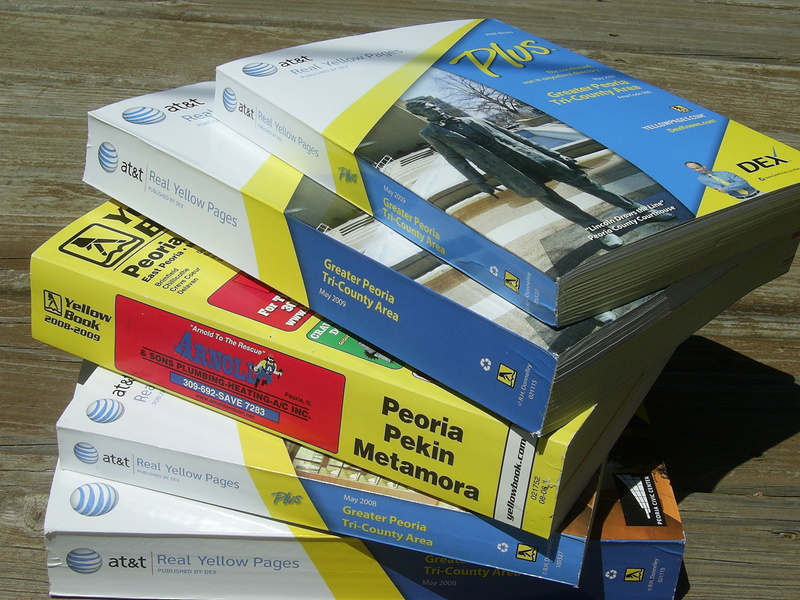 Both the AT&T Real Yellow Pages and YELLOWPAGES.COM have partnered with the national Keep American Beautiful program to promote the recycling of phone books. According to Sue Dewey the Executive Director of Keep Peoria Beautiful (the local affiliate of Keep American Beautiful), the best options residents of Peoria have is to either use the recycling drop off locations around the city or add them to the curbside recycling bins.